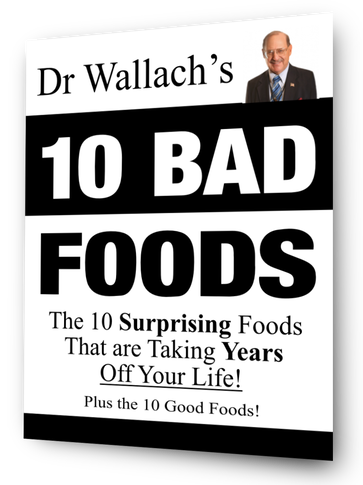 If you want to add years to your life there are basically10 foods Dr. Wallach says you’ll want to avoid. Some of them make it difficult to absorb nutrients, some cause inflammation, and some can cause oxidative free-radical damage. It doesn’t do any good if you’re taking the best supplements you can buy if you’re not able to absorb them. This is one of the first things you should do especially if you are taking nutritional supplements and not getting the results you are looking for. Complete the form to the right and receive a download link straight to your inbox along with a list of where you can conveniently get all 90 ESSENTIAL NUTRIENTS.